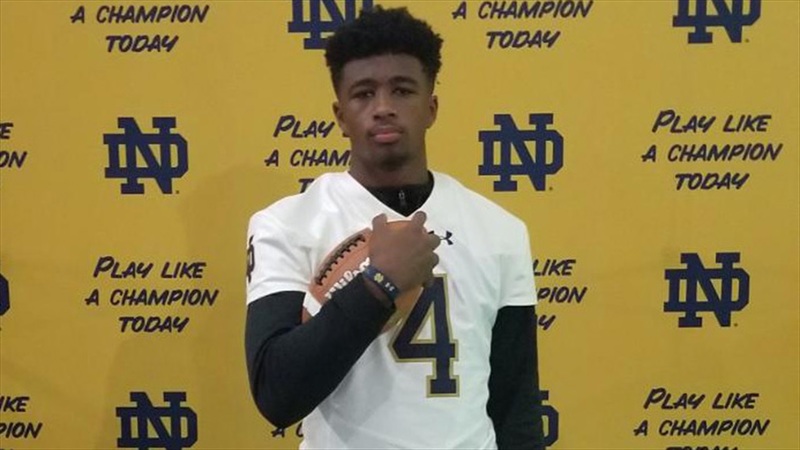 Izayah Cummings‍ was in South Bend for Notre Dame for the Irish’s home finale against Florida State back in November and the 2020 Kentucky wide receiver remains in contact with the staff. The 6-foot-4, 208-pounder from Louisville already has offers from Kentucky, Louisville, Cincinnati, Purdue, Indiana, Missouri, Duke and Virginia among others. “Everything is going great,” said Cummings. “I’ve got a couple schools that want me to come to their junior days and all. If he does get back to South Bend, he’ll be looking to spend more time with the coaching staff. “The only coach I really got to see was the wide receivers coach,” he said of his first trip. Right now, the Male High School standout is finishing up rehab after suffering a knee injury last fall. Opportunity will be key in Cummings’ final decision. Cummings plans to sign during the Early Signing Period this December.